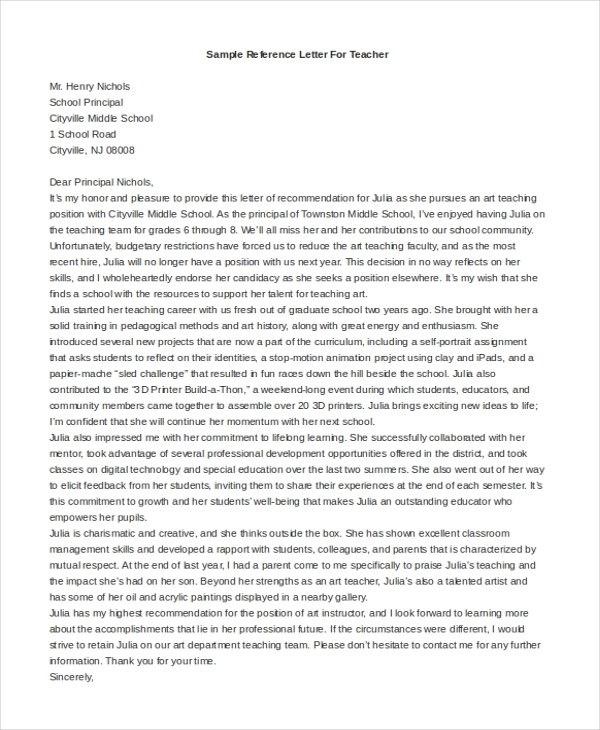 When the need to write a recommendation letter springs forth, you might find sample reference letters quite helpful. Of course, you could write the note using several approaches, say an e-mail or via the website form, but many requesters often value and prefer written and printed letters to digital content. For this reason, it is necessary to choose a Sample Letters from the following list, and then use it to write a professional recommendation. An employer may want to know whether an employee has had the best code of conduct in their previous company. 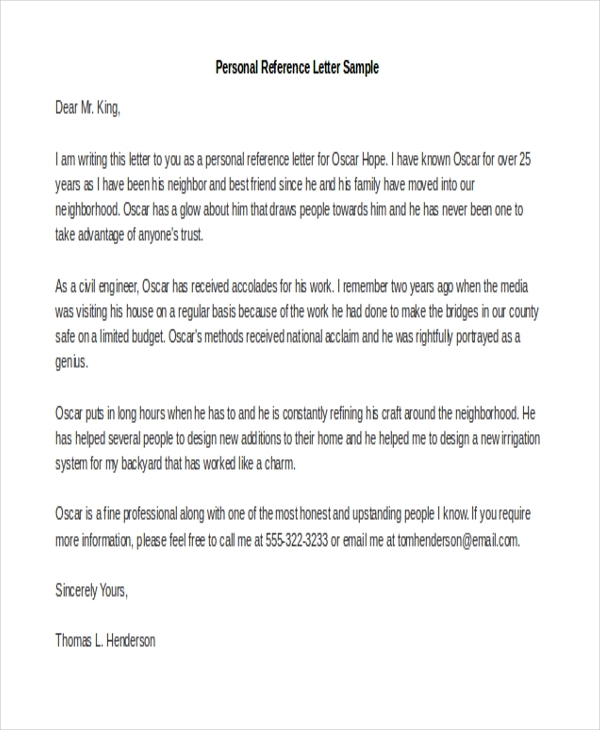 You can us this Sample Character Reference Letter to write about a person’s character. A friend you know may ask you to help them get a job by writing them a recommendation letter to the boss. The benefit of the recommendation is that creates a good picture of your friend to the potential boss. Use this sample file to write the letter. 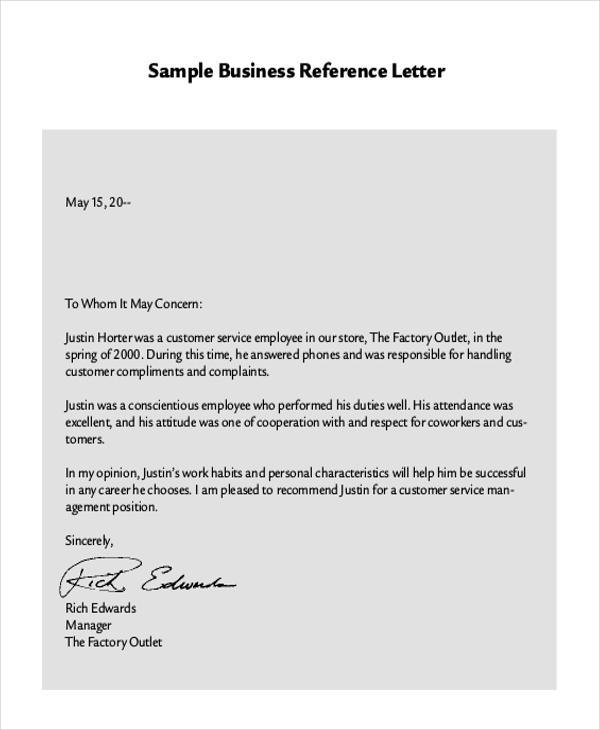 If you are an employee looking for a greener pasture outside your parent company and you would like to write a recommendation letter yourself, you can use this sample file to do so. Head teachers can use this sample document to write recommendation letters for teachers who would like to teach in different schools. The file is free to download and very easy to customize. A reference letter for immigration is a note written to the immigration department to show that an individual mentioned in the letter has good conduct and thus qualifies to live in another country. Help a student or a graduate become an employee in a company of their choice by writing them a recommendation letter after an internship. This note can help them get a job from anywhere around them. 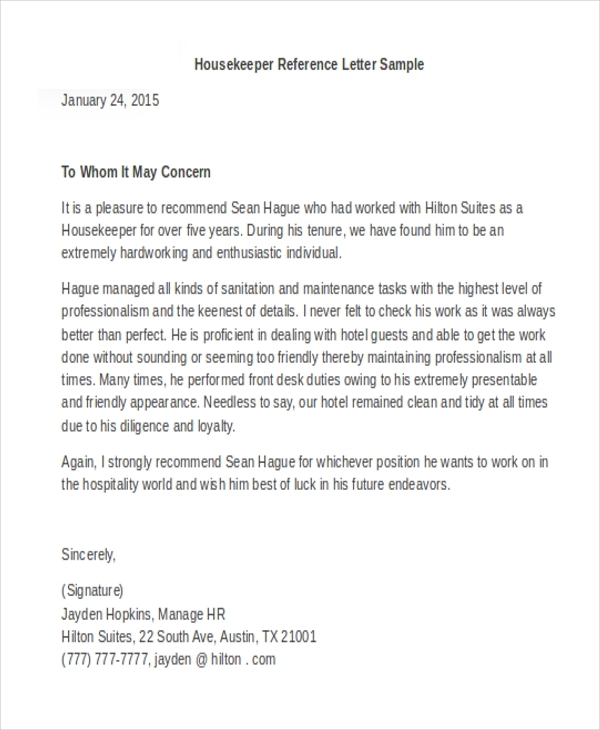 If your housekeeper is loyal and looking for a different job, probably greener pasture, you can write a recommendation letter for them as evidence that they are good employees. Use this file for help. Would you like to start a business with someone you feel has a good reputation on the market? You can ask them to submit their recommendation letter from their current or previous partners before making an agreement with them. Before we can arrive at the best conclusion on who should use the reference letter samples in this thread, we must first understand why we are writing the letter and the audience we are referring to. At the end of the day, you realize that there are reference letters to different people and institutions, including reference letter for work, property leasing, school, and internships. It means that anyone can write this letter, as long as they know the subject matter quite well. 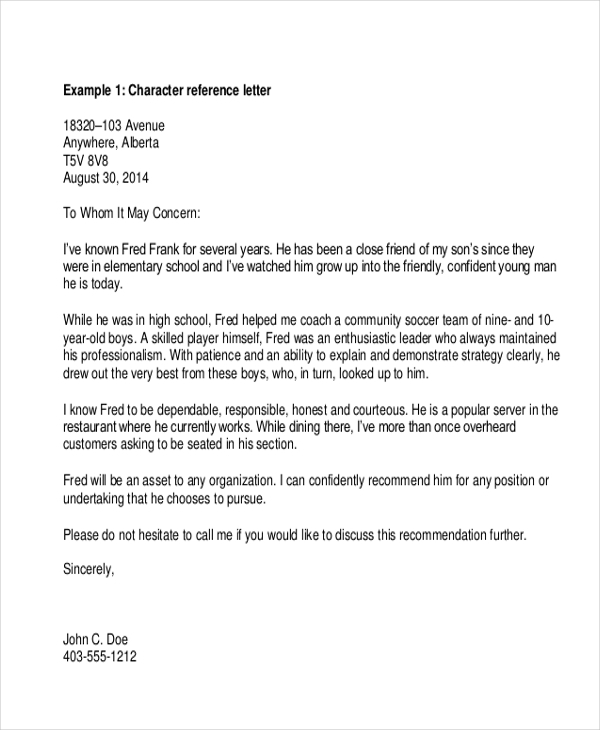 You can use a reference letter to show the authenticity of the subject matter. 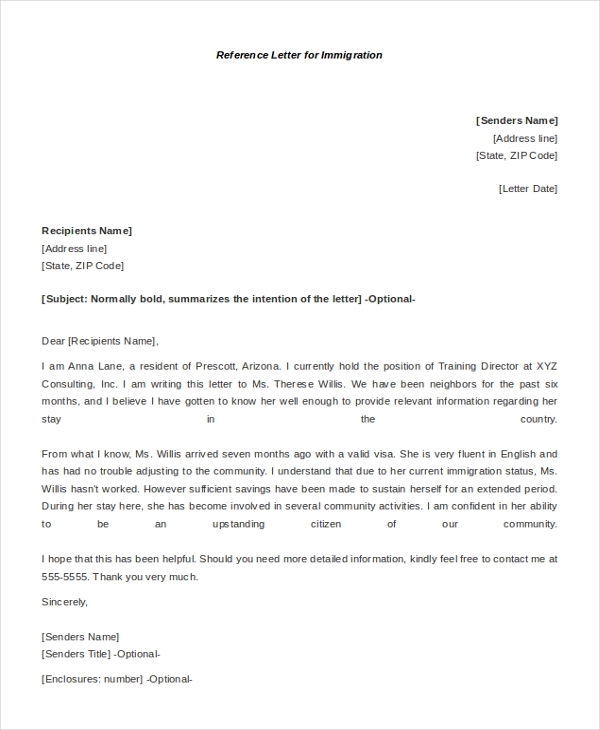 It is important to understand that a reference letter is much likely a convincing document that can help to build your trust in someone or something. It is, therefore, the best document to use when someone asks for some legal proof that a subject matter in question is exactly as described. 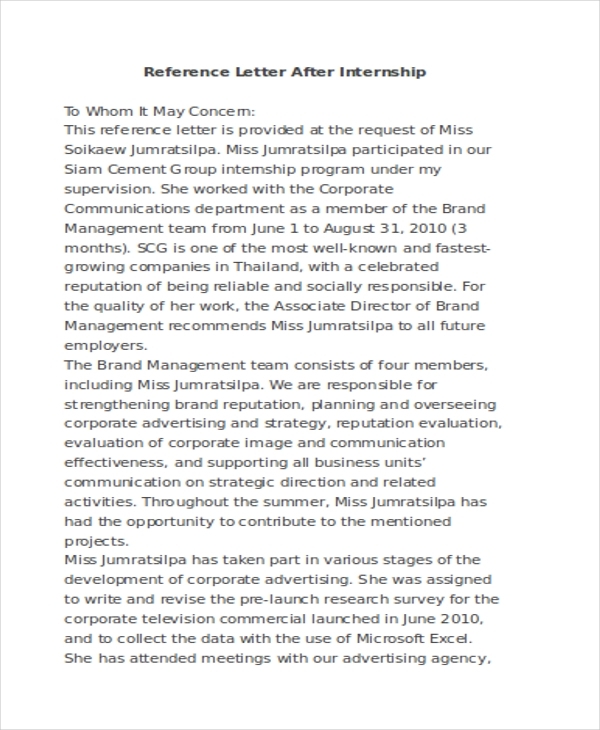 You may also see Cover Letter Example. The sample reference letters are free to download. 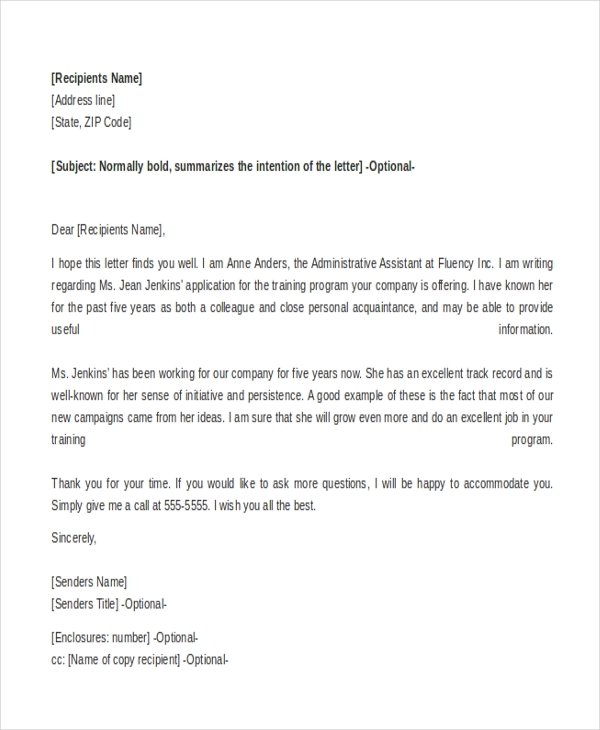 Of course, many people, people like you, are always looking for the best ways to make work easier, and if writing a recommendation letter from scratch is a burden for you, you should consider downloading and using the sample letters provided on this page for free. Did you know that these are the common forms of recommendation letters that you will most likely write for a long time? Whether you want to write a recommendation for a friend or for someone who is already at work but looking for a transfer, you can always use these free files for help. You can also see Resignation Letter Examples.